Located in the center of Honshu, Kyoto is a city in Japan. As of 2006, Kyoto had a population of 1,473,068. Kyoto was once the imperial capital of Japan, but today it is principally known outside of the country for the Kyoto Protocol (full name: Kyoto Protocol to the United Nations Framework Convention on Climate Change), which is an international treaty on climate change. The treaty, which was opened for signature on December 11th 1997, aims to reduce greenhouse gas emissions, and assigns mandatory reductions for some signatories. Lonely Planet’s Kyoto is your passport to the most relevant, up-to-date advice on what to see and skip, and what hidden discoveries await you. Walk through thousands of vermillion entrance gates towards the summit of Fushimi Inari-Taisha; glimpse ‘old Japan’ in the lanes of Gion; and time your trip for the best cherry blossom and crimson maple leaves. All with your trusted travel companion. Get to the heart of destination and begin your journey now! The Perfect Choice: Lonely Planet’s Kyoto is our most comprehensive guide to the city, and is perfect for discovering both popular and offbeat experiences. Looking for just the highlights? Check out Pocket Kyoto & Osaka, our handy-sized guide featuring the best sights and experiences for a shorter visit. After wider coverage? 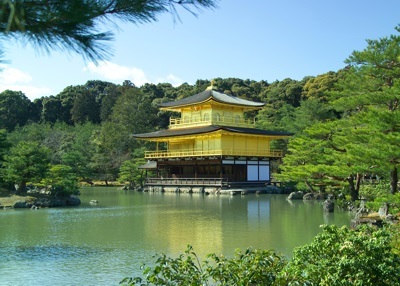 Check out Lonely Planet’s Japan for a comprehensive look at all the country has to offer. The Perfect Choice: Lonely Planet Pocket Kyoto & Osaka , a colorful, easy-to-use, and handy guide that literally fits in your pocket, provides on-the-go assistance for those seeking only the can't-miss experiences to maximize a quick trip experience. Looking for a comprehensive guide that recommends both popular and offbeat experiences, and extensively covers all of Kyoto's neighbourhoods? Check out Lonely Planet Kyoto guide. In a country of fascinating contrasts―ultramodern cities, ancient traditions, majestic mountain ranges―Frommer’s cuts through the noise and confusion to deliver a guide to Japan that’s clear, candid, thorough, and portable. Expert planning tips, honest assessments of hotels and attractions, accessible itineraries designed to appeal to a wide range of interests, and insightful commentaries on Japanese history and culture lead travelers to the sort of authentic experiences and exciting adventures that make for truly unforgettable journeys. It’s the sort of travel that Frommer’s has been making happen for more than 60 years. And with accurate and timely pricing info as well as helpful money-saving advice, you can see Japan no matter the size of your budget. About Frommer’s: There’s a reason that Frommer’s has been the most trusted name in travel for more than sixty years. Arthur Frommer created the best-selling guide series in 1957 to help American servicemen fulfill their dreams of travel in Europe, and since then, we have published thousands of titles became a household name helping millions upon millions of people realize their own dreams of seeing our planet. Travel is easy with Frommers. What better way to see Kyoto than at dawn, when the back streets and alleys of this 1,200-year-old city are still under the spell of the past? Old folks fuss about with their bonsai and laundry poles, pausing to chat on their way to the neighborhood shrine with flowers and morning prayers. Knock-kneed white egrets stalk the stream beds for breakfast, and the giant bronze temple bells awaken the former capital of Japan every morning as they have done for centuries. Through wars, fires, famines, tyrants, and now rapid modernization, the old neighborhoods of Kyoto are the places where the customs and traditions of this fascinating city, with its confusing blend of old and new, have managed to survive. American writer and former Kyoto resident Diane Durston introduces seven must-see precincts of this ancient capital city, including four Historic Preservation Districts. Among them are the world-famous geisha quarter, the kimono textile neighborhoods, the sake-brewing area of Fushimi, and the tea-growing region of Uji. Durston weaves together local lore and historical sites to create a panoply of provocative walking tours that take the reader back in time to the elegance of earlier days. Accompanying each section is a full-color map and the fine photography of Katsuhiko Mizuno, a Kyoto native and one of the city's most famous photographers. Sections highlighting Kyoto crafts, cuisine, festivals, and tourist essentials round out this attractive volume, making it the perfect introduction —and guide— to one of the world's most evocative cities. Take a guided Tokyo walking tour, bathe in hot springs, hike Japan's mountainous interior or visit peaceful temples: everything you need to know is clearly laid out within color-coded chapters. Discover the best of Japan with this indispensable travel guide. DK Eyewitness Travel Guide Japan is a detailed, easy-to-use guide designed to help you get the most from your visit to Japan. On a shorter break? Try our DK Eyewitness Top 10 Tokyo guide. For knowledgeable travelers seeking to find "the real Kyoto" behind the modern face of the city's constantly changing boulevards. Old Kyoto focuses on the family establishments that have been in business for at least a hundred years, and in some cases for over ten generations. Astonishingly, many of the old shops and inns of Kyoto can still be found on narrow backstreets, under the heavy, tiled rooftops of traditional machiya dwellings. Here, the adventurous traveler will uncover treasures: the way in which a hand-crafted calligraphy brush is bound, a miniature garden tended, a bamboo basket woven.